Changing the hunting scene in the 90s by bringing breathable yet waterproof Gore-Tex into silent hunting products, the finnskogen Gore-Tex Jacket still remains as a true classic among hunters. 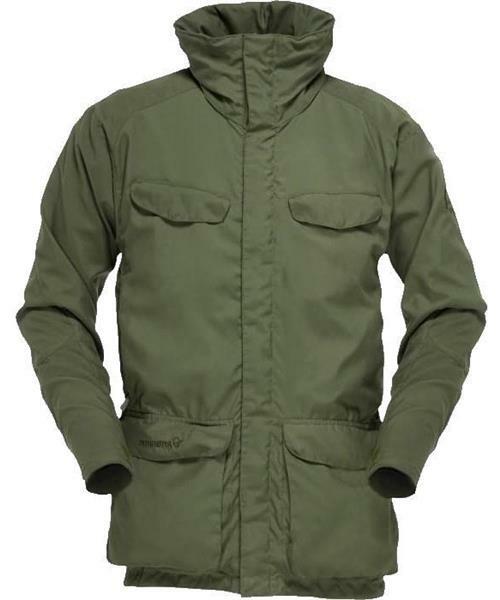 Originally the Gore-Tex membran was too noisy to be used for hunting but with a new developed combination of a brushed nylon outer fabric and a unique Gore-Tex membrane inside, great function could applied to hunting garments. The jacket has kept it’s classic and retro look and is still our reigning champion of silent hunting products with great weather protective abilities. It has several practical pockets, a fold away hood, underarm ventilation and a handy radio pocket.